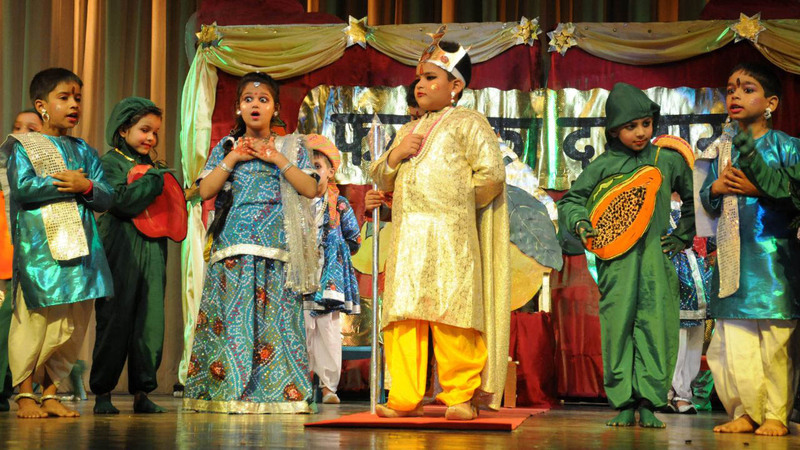 The Annual Cultural Fiesta 2014 for Nursery, K.G., Class I to IV of Manav Mangal High School was organised here today in the Auditorium of Manav Mangal Smart School. The Programme commenced with Ganesh Vandana. A good beginning always ends with a positive note. Praying to the Almighty before starting anything does bring success & happiness. Lord Ganesha, widely known as the remover of all the obstacles was remembered and His blessings were sought for the success. Students of Primary section created a divine atmosphere through Ganesh Vandana and made everyone bow their heads in gratitude. [youtube width=”600″ height=”450″]http://youtu.be/C2ZGk_MIlBs[/youtube]Tiny Tots of Nursery presented a Welcome song and gave a warm reception to their parents with open arms. Through their innocent gestures, they conveyed their gratitude to their parents for everything they have done for them. Next was a message packed item ‘Phalon Ka Darbaar’ in which they shared the mantra of keeping fit and healthy by taking different fruits at right time. [youtube width=”600″ height=”400″]http://youtu.be/k0B9gvnR7Gw[/youtube]Bhangra, folk dance of Punjab, is not only performed during the harvest festival of Baisakhi but also on many festive occasions. The enchanting beats of the dholak with the zing of the colourful dances makes it even more jazzier. Young Manavites made everyone present nod their heads and shake their legs with them. Students of Class I mesmerised everyone with their graceful and rhythmatic performance of Arabian Dance. Young dancers, no doubt, created a spell over the audience. Since, prices of essential commodities are soaring high frequently, it has become difficult for a common man to make his both ends meet. Living a luxurious life has become a dream for him. His tale of striving hard to fulfill the basic needs of his family was beautifully depicted through a Kawali on Mehangayee.A tribute to father was the item through which children conveyed their deep felt gratitude to father for all the love, affection and concern he showers upon and wants nothing in return. Strong as mountains, warm like sun, calm and deep as a quiet sea, father is always by the side of his family with a smile on his face. 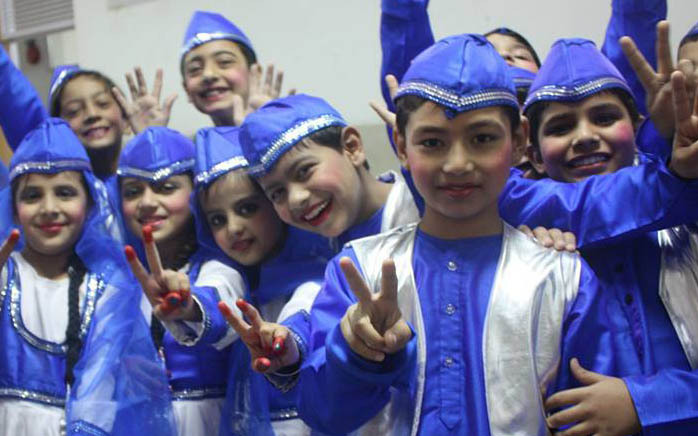 ‘Hum India Wale’, a scintillating Dance performance by students not only made everyone tap their feet but also conveyed the message that Indians are strong enough to face challenges from all the quarters. They have strength of mountains to fight and achieve success in every feat. Parents were made familiar with the achievements of school during 2014 – 15 with Power Point Presentation.